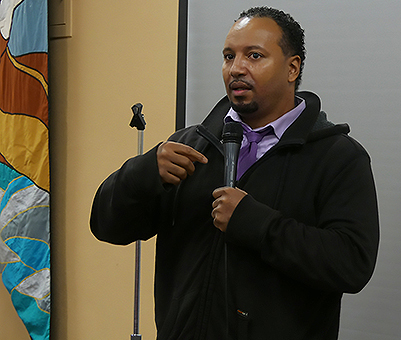 When Governor Jay Inslee formed Washington state’s Poverty Reduction Work Group (PRWG) in late 2017, the Statewide Poverty Action Network jumped at the chance to play a lead role. 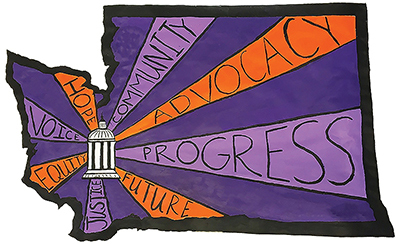 As Solid Ground’s advocacy partner, Poverty Action has 20+ years of amplifying the voices and stories of people most impacted by poverty across our state, sparking critical legislative policy change. Led by three state agencies – the departments of Social & Health Services (DSHS), Commerce and Employment Security (ESD) – the PRWG is comprised of 40 members representing various nonprofits, workforce and business groups, and state agencies. Its charge is to develop a strategic plan to reduce poverty, honing in on five specific issue areas: Early Childhood Education, Economic Assets, Postsecondary & Employment Pathways, Health & Well-Being, and Social Capital. Marcy Bowers, Solid Ground Advocacy & Statewide Poverty Action Network Director, says that the PRWG’s work “dovetails with DSHS’s existing goal to cut poverty by 50% by 2025, with a focus on racial equity.” Racial equity is at the forefront of all of Poverty Action’s advocacy efforts, so centering it – along with the voices of people most impacted by poverty – is at the crux of what they bring to the PRWG. To this end, Poverty Action formed a 25-member PRWG Steering Committee comprised 100% of people with lived experience with poverty. Marcy says, “It’s an important component of this work; we really shouldn’t assume that we as agencies and organizations know best.” The Steering Committee will approve the final strategic plan. 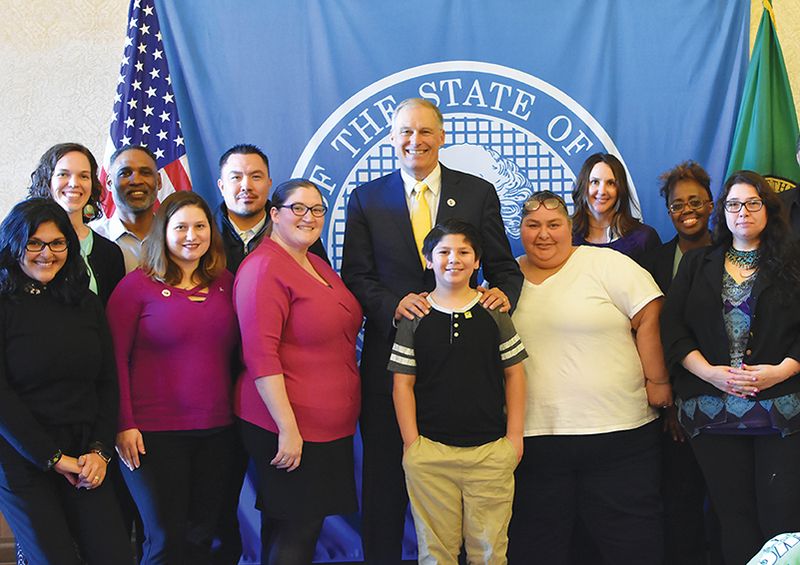 Featured image at top: Members of the Poverty Reduction Work Group (PRWG) pose with Governor Jay Inslee, including Solid Ground Advocacy Director Marcy Bowers (2nd from left) & Statewide Poverty Action Network Board Chair Juanita Maestas with her grandson Anthony (4th & 5th from right).